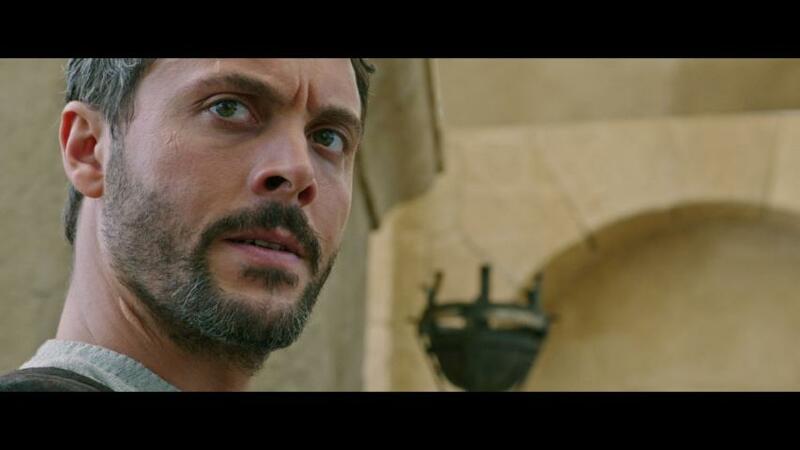 In "Ben-Hur," out in theaters August 19, Jack Huston attempts to fill the shoes of Charlton Heston as Judah Ben-Hur, a prince falsely accused of treason by his adopted brother Messala (Toby Kebbell), an officer in the Roman army. This exclusive clip from Paramount Pictures shows Ben-Hur and Messala preparing for their epic chariot race, as Pilou Asbæk's Pontius Pilate warms up the blood-thirsty crowd, and Morgan Freeman's trainer Sheik Ilderim watches and waits. Pontius Pilate: "People of Jerusalem, friends of Rome. We celebrate the power of man. You will see them race for glory. You will see them fight for honor. You will see them die for you!" Messala: "You should've stayed away." Ben-Hur: "You should'e killed me." Game on! This is actually the fourth film adaptation of Lew Wallace's 1880 novel, "Ben-Hur: A Tale of the Christ," starting with two silent films and then, of course, the 1959 classic that won 11 Academy Awards. Paramount Vice Chairman Rob Moore said (via the New York Times) that this 2016 movie isn't a remake of the Charlton Heston version, but a new interpretation of the original novel. "Ben-Hur," directed by Timur Bekmambetov ("Abraham Lincoln: Vampire Hunter"), will be released August 19. Want more stuff like this? Like us on Facebook.